Win Tonic is by far the best optimization software for computer speedup, PC clean and PC boost on any Windows 10, 8, 7 devices. 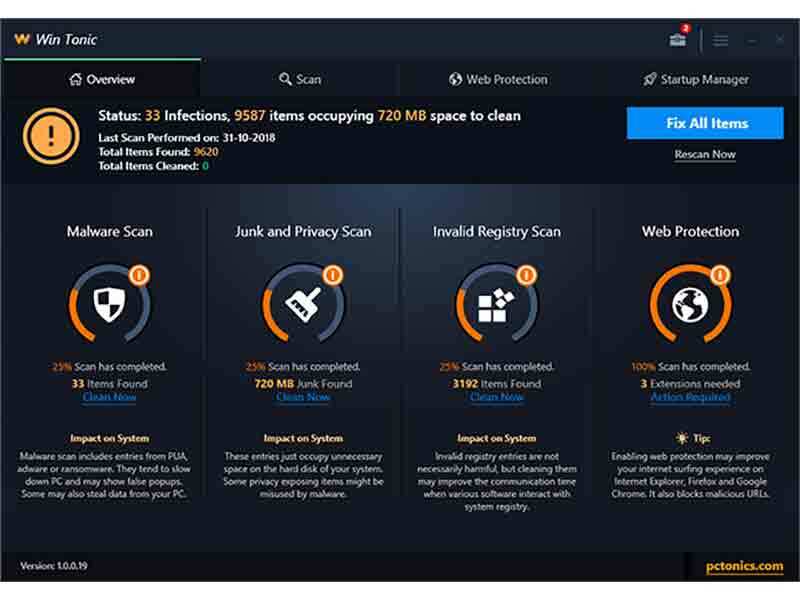 Users can easily clean up annoying junk files, remove private information from their systems, and accelerate browsing speed to enjoy a much cleaner and faster PC. Even more, you can easily boost startup time with Win Tonic`s startup optimization. Download it now to say bye-bye to a slow PC!